You are given a certain number of nickels and pennies and a desired sum of cents. Is it possible to select the exact change to reach that sum? You will be given three numbers as input - nickels, pennies and sum. Return true if you can select coins to reach sum exactly, and false otherwise. In this challenge, you can be given any number of nickels but only 0 to 4 pennies. Note: A nickel is worth 5 cents. A penny is worth 1 cent. N lines follow, which each contains 3 integers in order for the number of nickels, number of pennies, and the desired sum. Print out true or false to the output for each case on its own line. Can you get the exact sum using the given number of nickels and pennies? For input set 5 3 19, we can get 19 using 3 pennies and 4 nickels. So it should be true there. 5, 4, 23 will result false !!!!!! it ca't be true 5*5 +4 = 24 ????????????????? @Amboss, the challenge is to see if you can select the exact change from the coins you are given. So if you have 5 nickels, you can select 4 of them, add 4 pennies for a sum of 24 cents. I've made the code, but when I run table below shows that all cases are correct EXCEPT that "Your Output" is incorrect, it's red. I don't know why, I checked some made up cases manually on Eclipse. Кирилл, When given 7 nickels and 3 pennies, can you get 35 cents? Yes, you just select the nickels and ignore the pennies. Check your code to see what it returns. I'm just curious where I get lost. Кирилл. there's another example you're getting wrong. I think you should approach this problem a little differently. You can solve it with one if-else statement. You can solve it with one if-else statement. You're right. And only now it's shows "Correct". I have to say that with no mathematical help I won't do that. So, on my opinion this problem more related to mathematics rather then to programming. OMG :( this took me forever also my code is extensive.... looks like complying with DRY is going to take me looong time to master. I archived many comments here with solutions. You can link to your solution (in your submissions) to share it, but you shouldn't paste the whole solution in here. 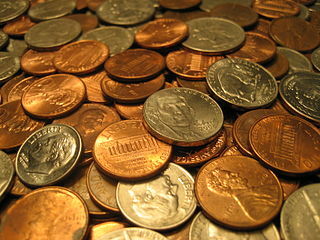 For those of you in different countries: Pennies are 1 cent, Nickles are 5 cents (each). Added a note to main content on their value. I think i have a good solution? is it a smart solution? OK, but see the featured answers for a more concise answer. I wrote my code in python. it's working if i run this in some other compiler but here it's not. Boilerplate code for this challenge wasn't provided for Python, so you need to take in the input yourself from STDIN. how the heck did this pass all the tests.. Thanks, that's actually an edge case that wasn't covered before. The last test case will now check that condition so that code no longer passes. print correct_change? (nickels, pennies, desired_sum), "\n"